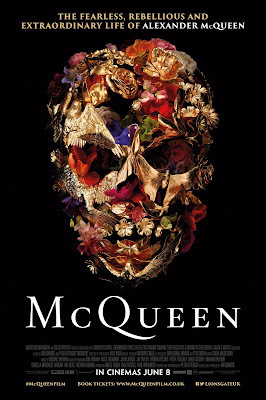 It was very telling that nobody currently working with/in the House of McQueen was interviewed in this documentary. Even current creative director, Sarah Burton, was nary more than just a toss-away mention and a footnote in the credits. This documentary was at its best when it charted Lee Alexander McQueen's sensation/dramatic runway shows against his own personal emotional trials at those times. The rest, however, was nothing that could not be gleamed from reading Wikipedia. Not much insight was to be had from the interviews of old friends/colleagues and his sister (one of five other siblings, another telling sign) and her son - his nephew - which a cynical viewer might assume was more monetarily-motivated rather than a altruistic need to share. 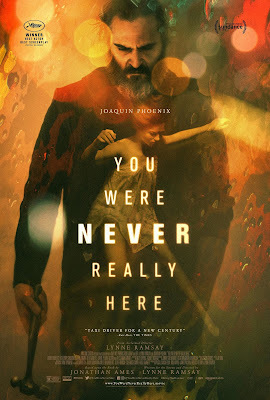 Lynne Ramsay's 2017 Best Actor and Best Screenplay Cannes winner was a tightly paced and visually exciting psychological thriller that at a trim 90 minutes left scarcely any room to breathe as nary a scene was wasted and the action and narrative moved effortlessly along, only powered by the wordless, powerful performance of Joaquin Phoenix, Jonny Greenwood's cacophonic yet palpably accelerative score, and, of course, Ramsay's lyrical yet punchy direction and intelligent script that eschewed blatancy for smart subtle ferocity. If this film remained in the social consciousness this Oscar season, it would definitely be a shoo-in for a number of above-line nominations, but oddly enough, it remained fairly under the radar still. Spike Lee's Grand Prix winning dramedy has a very serious message, and that ending was a gut punch and stark, brutal reminder that reality is shockingly really not that far from fiction. Lee effectively used a blend of comedy to highlight the truth of racism and used history to illuminate the sins of the present. The dramatic beats - especially two scenes of speechifying - could be a heavy handed but on hindsight, it was necessary, because otherwise many people (read: movie-goers) may never actually hear/be aware of them. 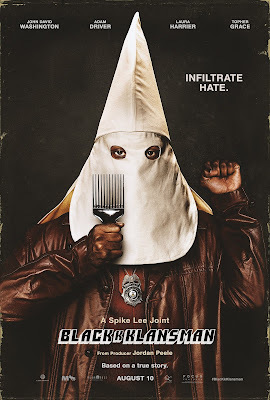 Without knowing the real story of Ron Stallworth - who wrote the book this film is based on - I cannot comment how accurate were the depiction of the events shown in the film, however, the crux of the message did get through. But beyond the obvious, Lee also used the film to highlight that passive inertness can be as guilty as overt racism. We - the audience - allowed racism to be. And that is a powerful message that could make the film uncomfortable to some. Based on one of my favourite books of the last decade, Jesse Peretz's Juliet, Naked updated the premise but retained Nick Hornby's wry humour and spot-on fanboy geekiness of the pre-millenial generation coupled with his usual lad-lit sensibility and oddly insightful observation of post-90s relationship navigation. 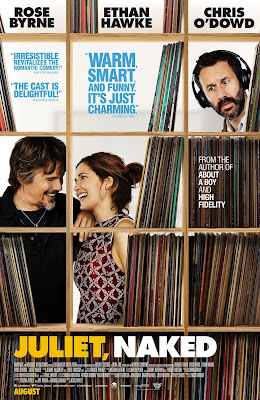 Per cine-nomenclature, this film was an effective rom-com with enough elements of the former to tug but not be overwhelmingly saccherine; and peppered with lots of the latter to laugh and smile throughout without feeling excessively dumb. All three of the principle cast were perfectly suited for their roles, and in this case, the men outshone the lady. Showtime's latest half-hour dramedy by Dave Holstein was an utterly depressing and yet macabrely funny meditation on death and change. It was charming, heartbreaking, sincere but as blackishly wry as death itself. Michel Gondry's direction was superb and hopefully the rest of the series can continue in his visual inventiveness. 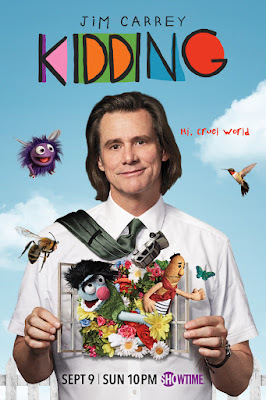 However, the main draw of this series has got to be Jim Carrey who reminds us why he used to be such a big star, and not because of his slapstick schtick, but think back to the trifecta of Eternal Sunshine of the Spotless Mind, The Truman Show and Man on the Moon (and even the less seen I Love You Phillip Morris). Carrey once again reminds us that not only is he a great comedic actor, but also one that has an unfathomable emotional depth.